The laureates of the third edition of the French American Business Awards (FABA) of San Francisco used the words “inspire” and “community” a lot. The reference wasn’t just to the business community, but to the blended community of France and the Bay Area with its entrepreneurial spirit. 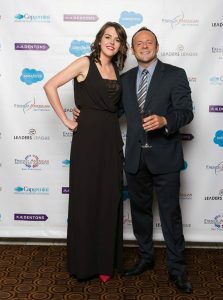 The FABA laureates, or winners, were chosen from 65 French and American companies, entrepreneurs and executives based in the San Francisco Bay Area. There were 10 categories, including Start Up of the Year, High Tech with Over $30 Million in Revenue or Funding, High Tech With Less Than $30 Million in Revenue or Funding and Personality of the Year. 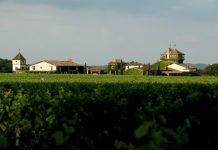 Other categories included Agribusiness, Cleantech, Food Business, Wine, US Investment in France and Lifetime Achievement. The nominees were chosen based on excellent annual results and lasting performance in management and leadership. A 120-person jury made of Bay Area business leaders chose the awards, while the Start Up of the Year was chosen during an open showcase and pitching contest May 10 in San Francisco. David Gurlé, Founder and CEO of Symphony, the Gold Award winner of High Tech with Over $30 Million in Revenue, identified how the communities of France and America inspired him to be successful. Frédéric Stemmelin, President of the FACCSF Board and an entrepreneur himself, said that failure was poorly tolerated in France, where it is viewed as negative and entrepreneurs that learn from failure are harshly judged. 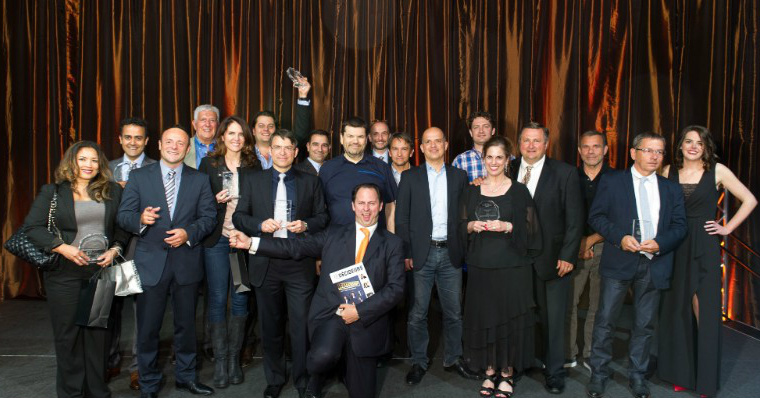 The awards evening wasn’t just about high technology, but was also about the inspiration, community and success in traditional French industries such as wine, agribusiness, food and Cleantech. Nadalie USA, a family-owned cooperage, or wine barrel maker, which was founded in Montpellier in 1902, won the Gold Award in Agribusiness. Galaxy Desserts won the Gold Award for Food. Its co-founder is French pastry chef, Jean-Yves Charon. He balanced the French dessert and pastry esthetic with the American desire for individual servings. The Cleantech category laureates were a combination of sun power and using technology to manage power usage. Gold Award winner Enphase Energy provides smart, connected solar energy systems to homes and businesses throughout the world. The Special Distinction Award winner PowWow Energy uses data management to learn about and manage water and energy usage for smart crop management in agriculture. The FABA is organized by the FACCSF in partnership with Leaders League. Attendees grew more than 35 percent in this third year to 350, and nominees grew more than 25 percent. 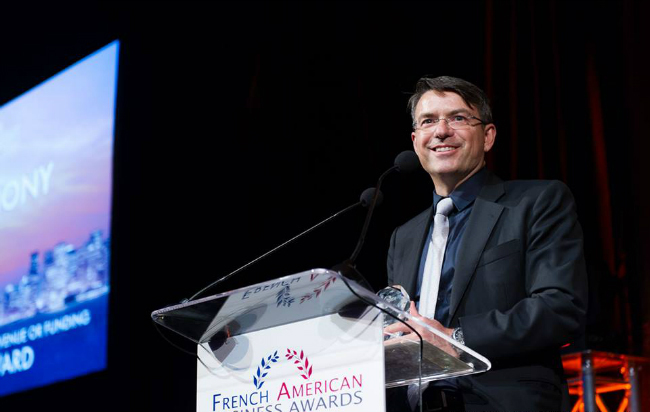 French American Chamber of Commerces in several other cities, including Seattle, New York and Houston, are replicating the awards. All the laureates of FABA 2016 are listed at FABA.